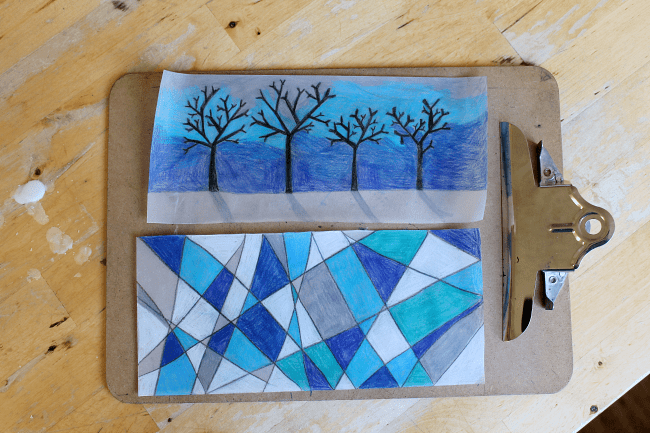 In this winter art project we’ll explore tracing paper, cool colors, winter skylines, and abstract geometric patterns. 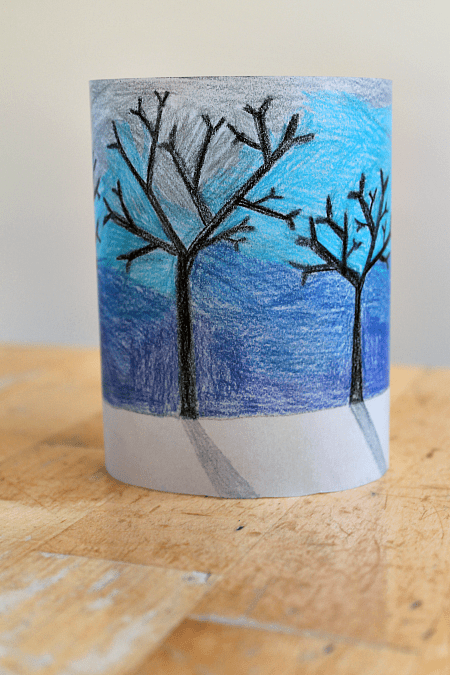 The lanterns are very simple to make, making this a great winter art project for all ages. :: what does a winter skyline look like? What do you see outside your window? How can you tell it is winter? :: Do your children know the difference between evergreen and deciduous trees? Which kind of trees do you have near where you live? :: What words would you use to describe the bare winter branches of a deciduous tree? If something is transparent, light can pass through it so you can see things clearly. If something is translucent, it allows some light through, but things can not be seen in clear detail. If something is opaque, no light can pass through so you can see anything. Is the tracing paper transparent, translucent or opaque? 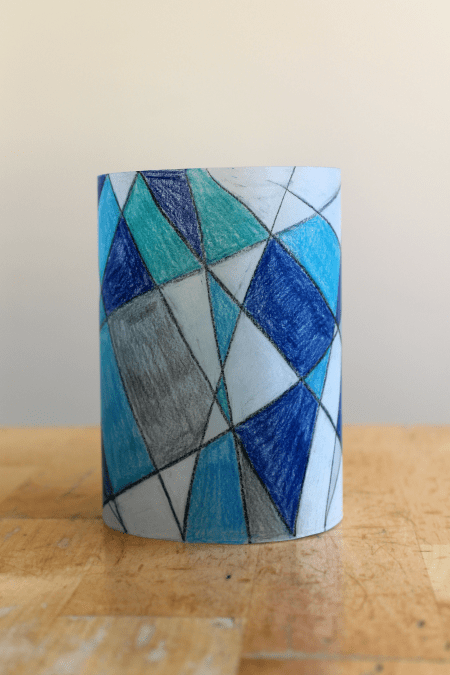 Take a rectangular piece of tracing paper and draw your design. You might like to create a winter skyline, with the dark, bare branches of trees, and shadows falling across the snow. You might like to create a set of geometric shapes by drawing criss-crossing lines across you paper, and colouring in each space. Very young children might enjoy scribbling and making marks all over the paper. You can use pencils, marker pens, or even try oil pastels. You can experiment with blending colours together, and even layering pen on top of pencil. We used a winter-inspired colour palette of cool colours: blues, white, grey and black. 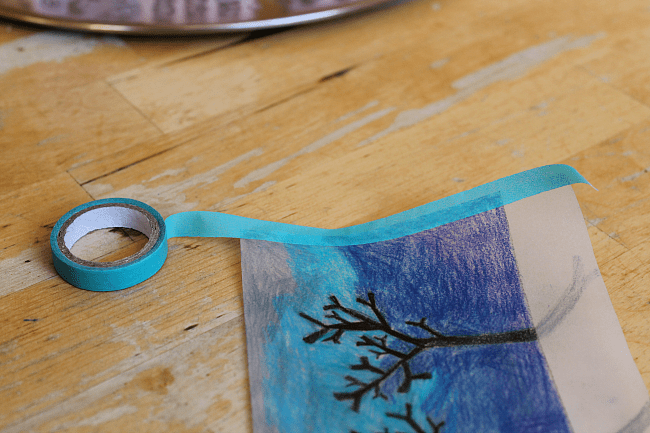 Once you have completed your design, put a strip of tape along one short end of your paper. 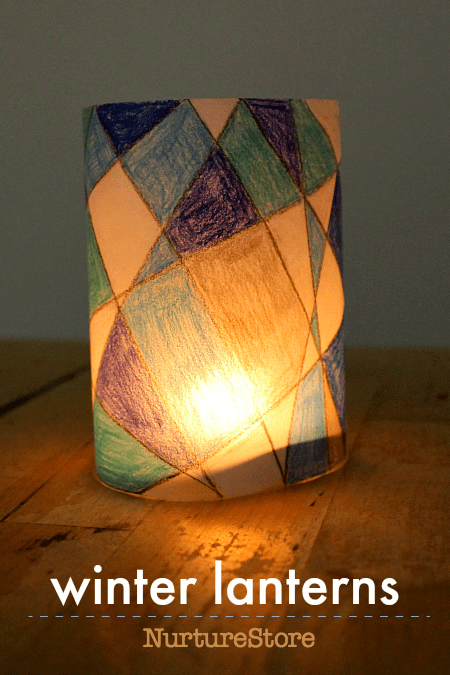 Roll your paper around to create your lantern shape and hold it in place with the tape. Add a battery-powered tealight candle in the centre of your lantern and admire how the light shines through your design. 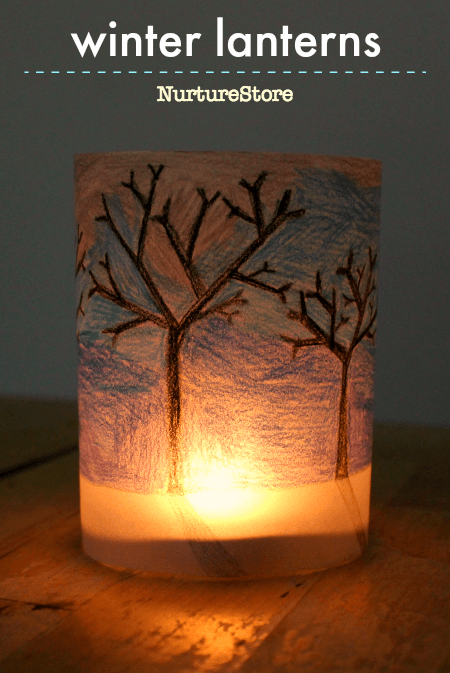 NurtureStore’s archive has many more ideas you can try with your children to explore the theme of winter, or to create different styles of lanterns. 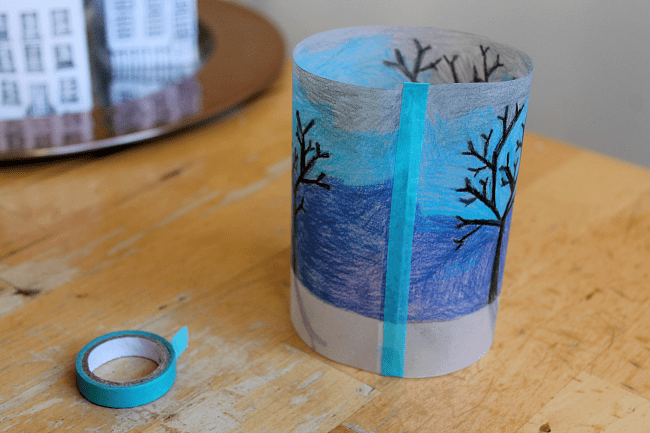 Try one of these winter art projects to explore snow, ice, painting and making. Make a different style of lanterns: jam jar lanterns, big paper lanterns, salt dough lanterns, paper house lanterns. You can find our archive of winter themed math activities and literacy lesson plans here. Previous article: Our biggest ever January Sale is here!Next article: What can my 6-month-old play?